The sedan that keeps you connected as it takes on Oswego roads is the new Kia Optima and is available at the closest Kia dealership to me, Gerald Kia of North Aurora. With tech-forward features that’ll access your prized smartphone applications with the help of Android Auto™ and Apple CarPlay™, the Optima maximizes your drive. This intriguing Kia also offers St. Charles drivers power in an exciting available 2L turbo I4 engine that’ll bring 245 hp to the streets near our North Aurora dealership. Stop by North Aurora today to check out the Optima, and don’t forget to check out our new vehicle incentives before you come. These features and more make the Optima and its various trim levels a contender on the Warrenville streets. When you’ve reviewed our inventory of new Kia Optima sedans online, stop in to explore one in person. 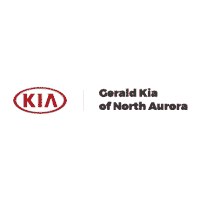 Gerald Kia of North Aurora is ready to help guide you on your new car journey. We even offer a Gerald-exclusive lifetime warranty on new vehicles like the Optima, so contact us today to find the right Kia vehicle for you.